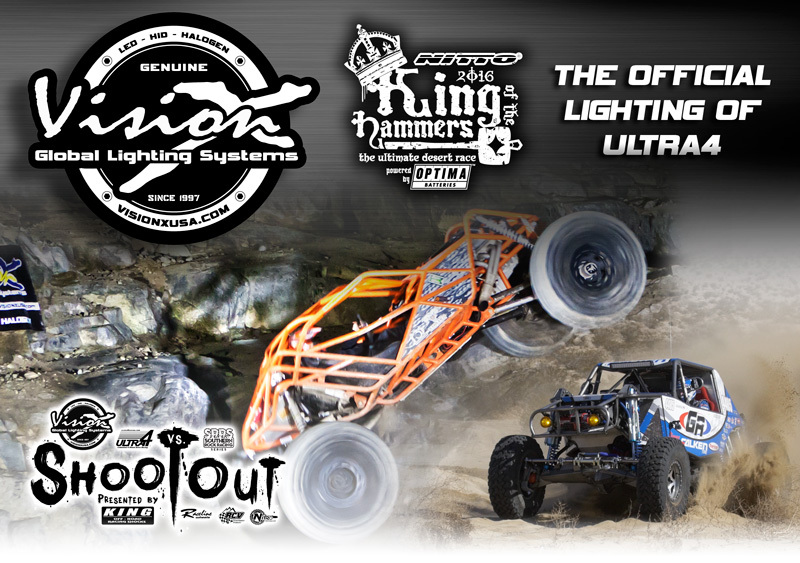 Vision X Lighting is proud to announce they are now the Official Lighting partner of ULTRA4 Racing Series and the 10th Annual Nitto King of The Hammers Powered by Optima. They will also continue its support of the craziest off-road night event in the world, the Vision X ULTRA4 vs. SRRS Shootout presented by King Off-road Shocks held on February 1st. “Having Vision X as our Official Lighting Partner is a solid statement to their commitment of off-road endurance racing, and helping racers finish the harshest race on the planet. Their vast LED lighting product offering also allows us to provide a brighter experience for our fans when they light up the dark canyons of Johnson Valley during the Vision X ULTRA4 vs. SRRS Shootout. We’re very proud to partner with a company that not only wants to grow, but help us grow a sport so many people are passionate about.” – Shannon Welch, ULTRA4. The 2016 Overall Winners of the Nitto King of The Hammers and the Smittybilt Everyman Challenge will each be awarded a $1000 certificate from Vision X for their success. Vision X also takes their commitment straight to the racers; by creating a new Racer Support Program allowing select registered racers of ULTRA4 to benefit from team gear, decals and discounts on their newest 10-watt XPR LED light bar series, and the popular Light Cannon LED Series lights ranging from 25 Watt up to 90 Watt single LEDs. Each of these products are backed by a Lifetime Warranty with a support team ready to answer any and all questions. This exclusive Racer Support Program is only available through Vision X, more info at www.visionxusa.com/koh. Email racers@visionxusa.com to register. ULTRA4 Racers like Tony Pellegrino, Jason Blanton, Bill Baird, Pier Acerni, Wickham Racing, Jeff Russell, Don Fisher and others have proven Vision X Lighting is top of it’s class, now it’s time for everyone else to see what they’ve been missing. The 10th Annual Nitto King of the Hammers Week kicks off in Johnson Valley, CA on January 29th through February 7th. 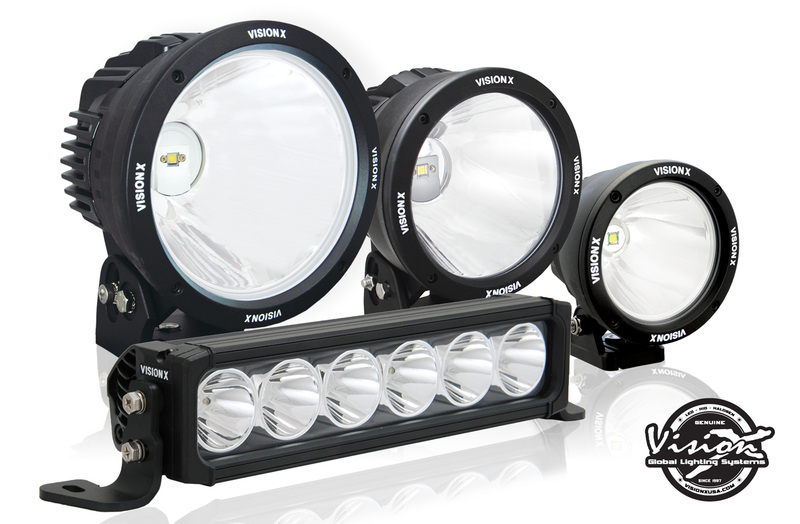 For more information about Vision X and it’s LED lighting products, please visit www.visionxusa.com.